Here are a selection of two tier Frozen themed birthday cakes, all made with a vanilla sponge base and finished with a frozen valley backdrop, mountains, snowflakes, a handmade Olaf the snowman, all handmade from scratch. 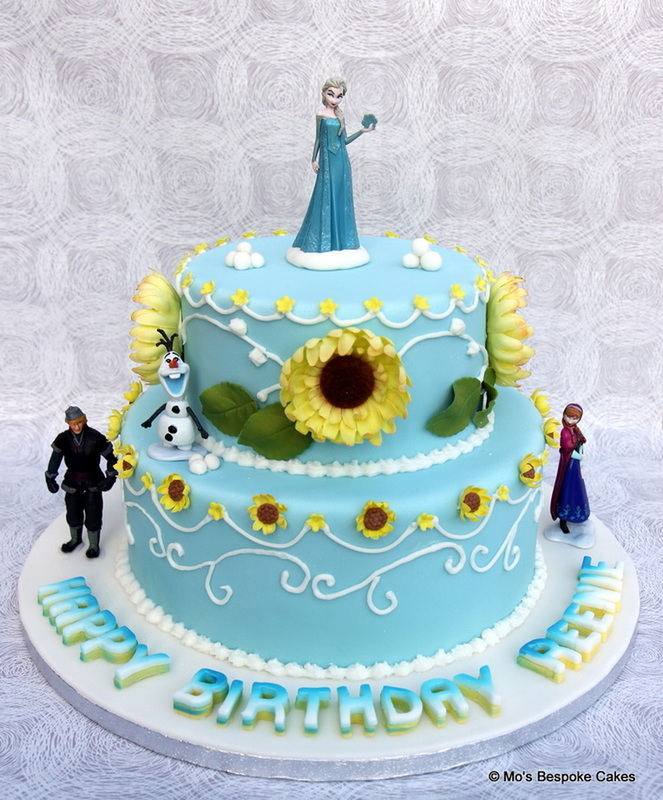 The cakes also feature original Sven, Elsa the Snow Queen, Hans and Anna characters placed across the cake. The cakes shown will serve between 35-50 portions and can be personalised to your specific requirements, party size, characters and filling. Just contact me for more details.